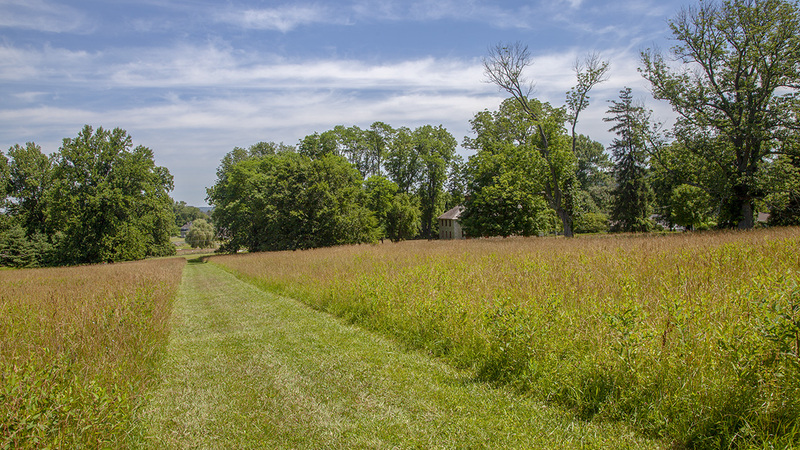 The 62-acre historic site, since 1948 a property of the National Park Service, was the core of the Ridgely family’s Maryland land holdings, which once comprised more than 25,000 acres. 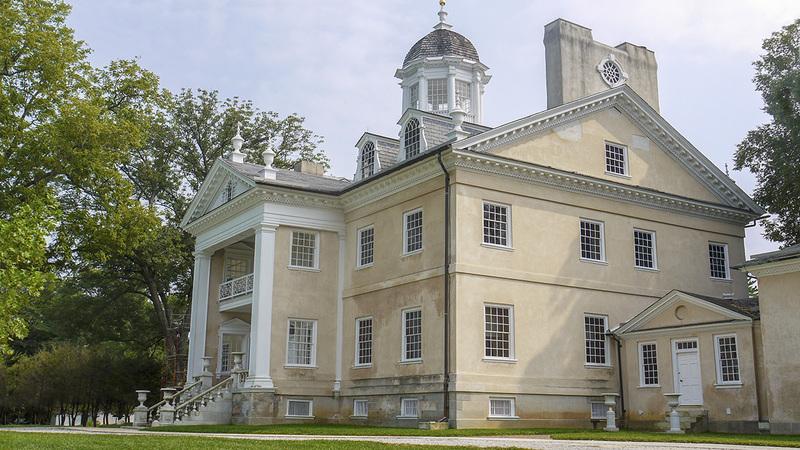 The Georgian mansion, built on a hilltop in 1783 for Capt. 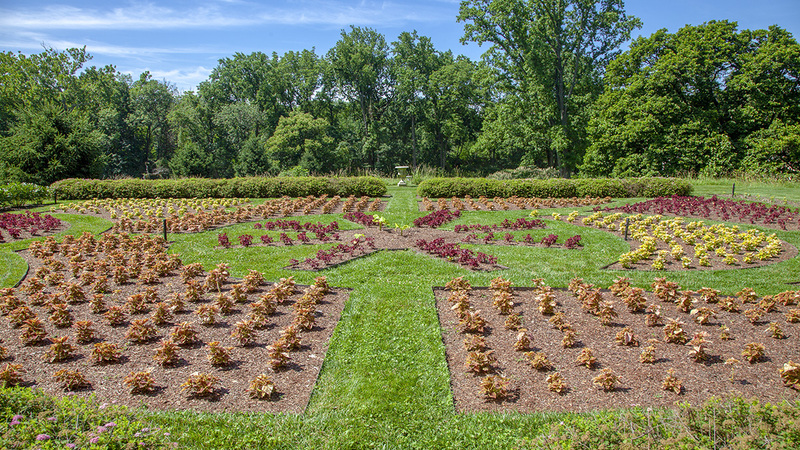 Charles Ridgely, is the centerpiece of the property. 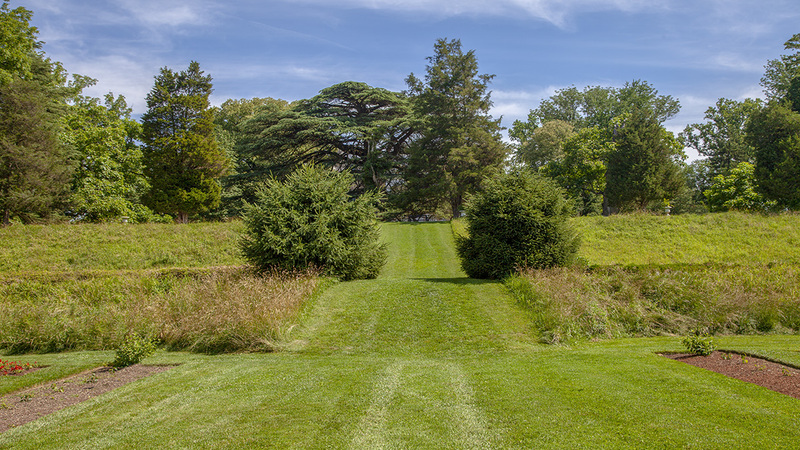 Grounds to the north of the mansion are laid out in the Picturesque style, with manicured lawns near the house and clusters of trees framing open views to a meadow. 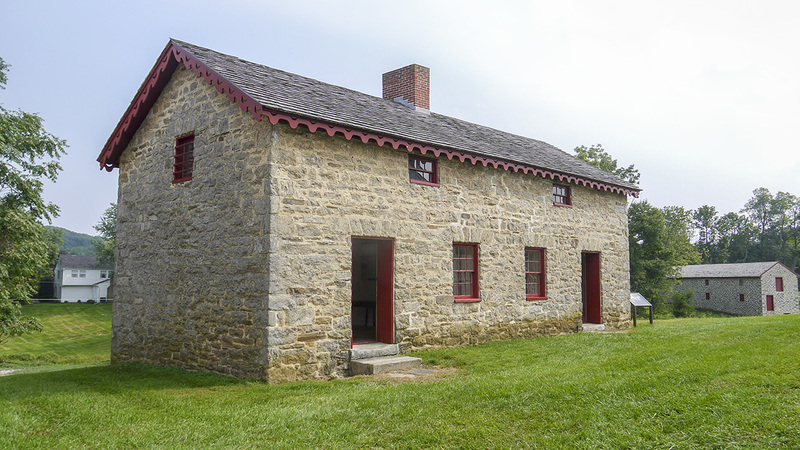 Numerous outbuildings, including two stone stables, greenhouses, a gardeners' cottage, smoke house, privies, farm house (1745), slave quarters, barns, and a family cemetery are still extant. 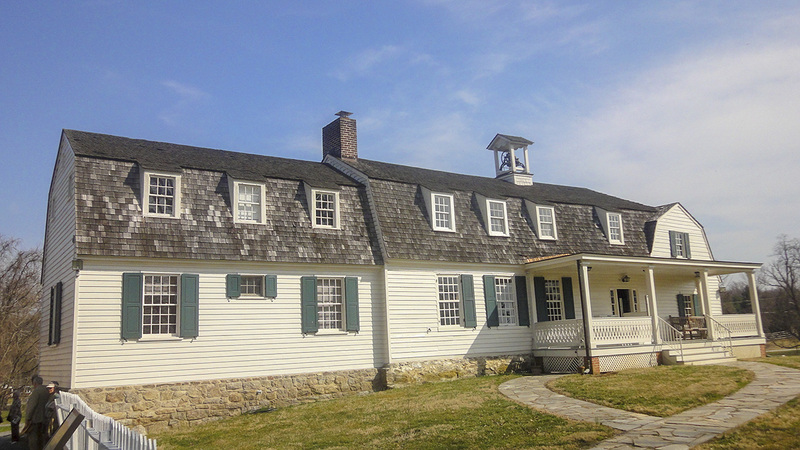 These farm structures, with decorative architectural details, comprised a ferme ornee (an ornamental farm), with their relative elevations reinforcing the estate’s social hierarchy. 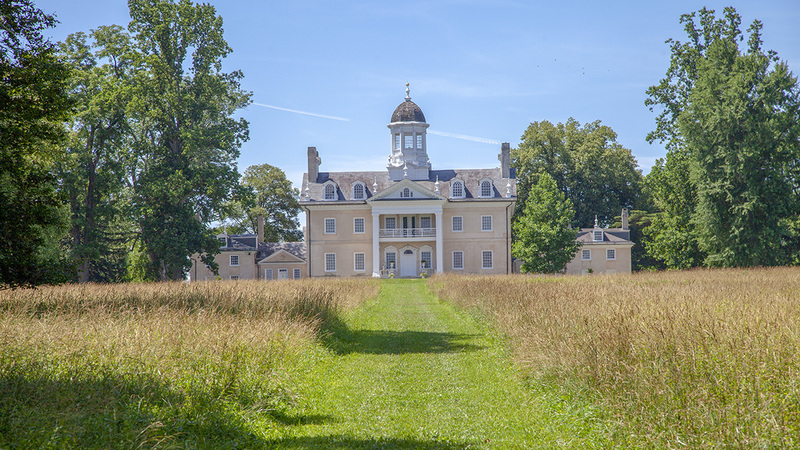 Together with the mansion, they help to interpret the story the hundreds of enslaved individuals, free servants, and farm workers who labored at Hampton from the 18th to the 20th century for seven generations of the Ridgely family. 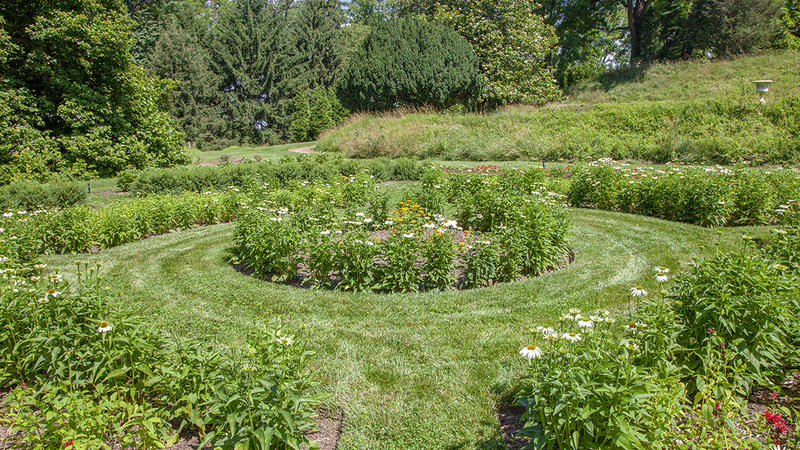 The formal terraced garden is laid out on the mansion’s southern slope. 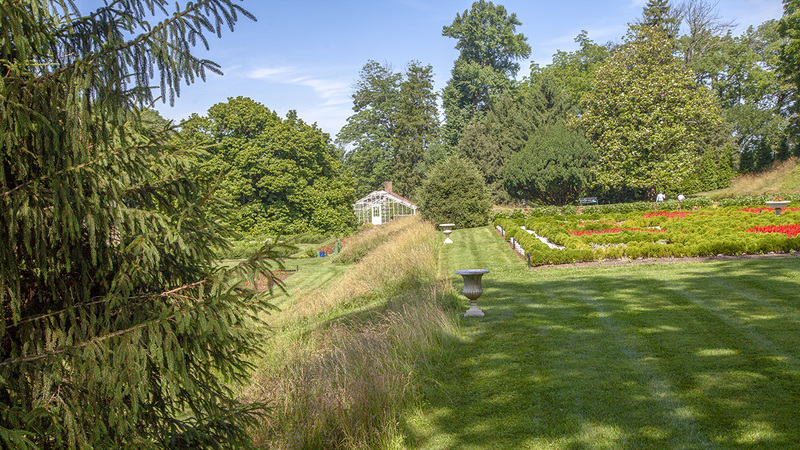 The garden begins with a “great terrace” that includes one of the estate’s State Champion Trees, a Cedar of Lebanon planted c. 1840. 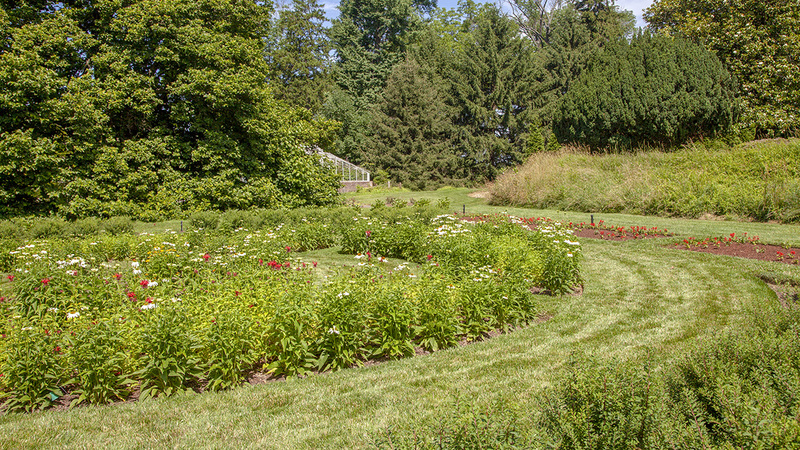 Three additional levels with parterre plantings, first laid out c. 1800, were reconfigured to suit the changing aristocratic tastes of the Ridgely family. 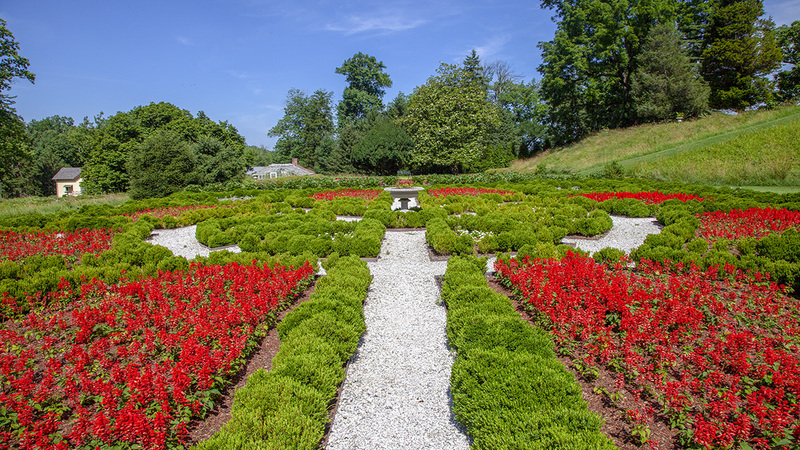 The terrace and parterre gardens were “restored” according to a Colonial Revival plan created in 1949 by landscape architect Alden Hopkins, but have now been redesigned to reflect their height in the mid 19th century. A serpentine walk winds past the gardens, affording broad views of numerous historic and exotic trees, while a more utilitarian cobblestone path leads to the garden outbuildings. 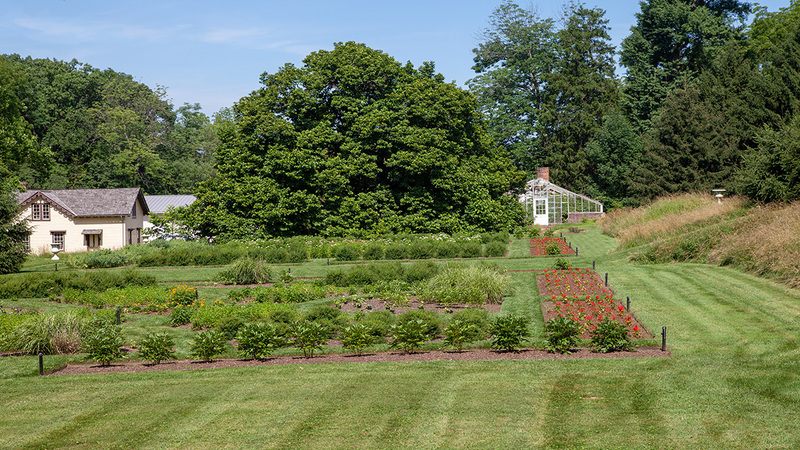 Altogether, the Hampton estate’s variety of historic plantings, utilitarian structures, and designed landscape features effectively convey the social and economic character of life here for more than two centuries. The property was added to the National Register of Historic Places, and was designated a National Historic Landmark, in 1966.